I think we all have some room to improve our popcorn consumption. When eaten responsibly, it has many health benefits: a surprisingly high concentration of antioxidants, fiber, whole grain heartiness, plus it’s low in calories. 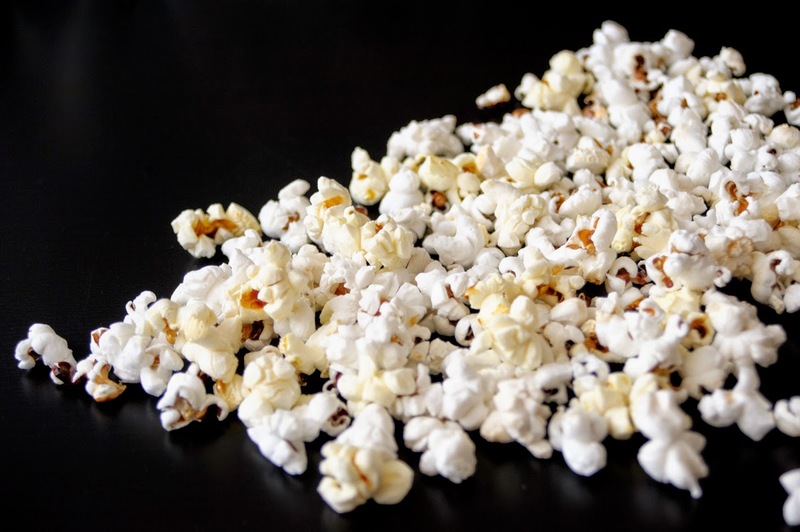 But if you go for the microwaveable movie popcorn, or sticky kettle corn, you’re filling your body with things less than good for you: trans fats, high fructose corn syrup, artificial flavors, funny chemicals from the microwave bag, and coloring. Coloring? It’s so much better for your body and taste buds to make your own popcorn. It’s not as hard as it sounds! I took some time to answer my own questions about the easiest ways to make popcorn, and what to do with it after. Here’s some inspiration for popping, seasoning, and snacking your way through your Netflix queue. 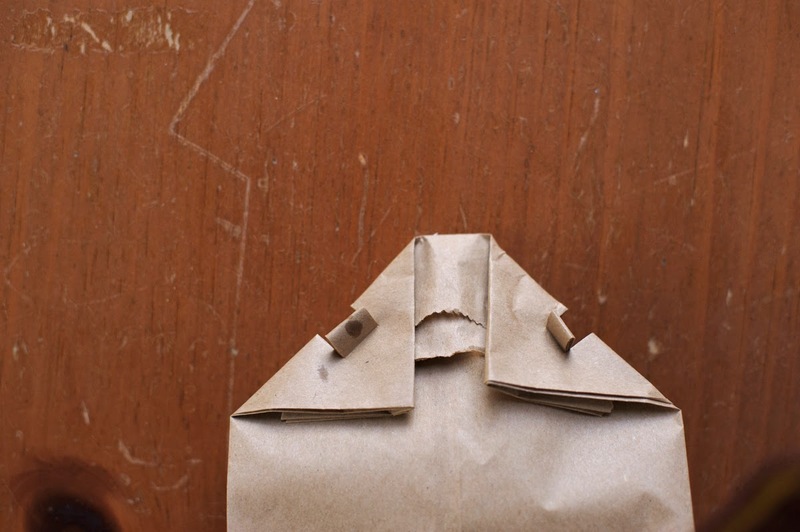 Can you really use a brown paper bag to make popcorn? Put everything in a small bowl to get all the kernels covered in oil. 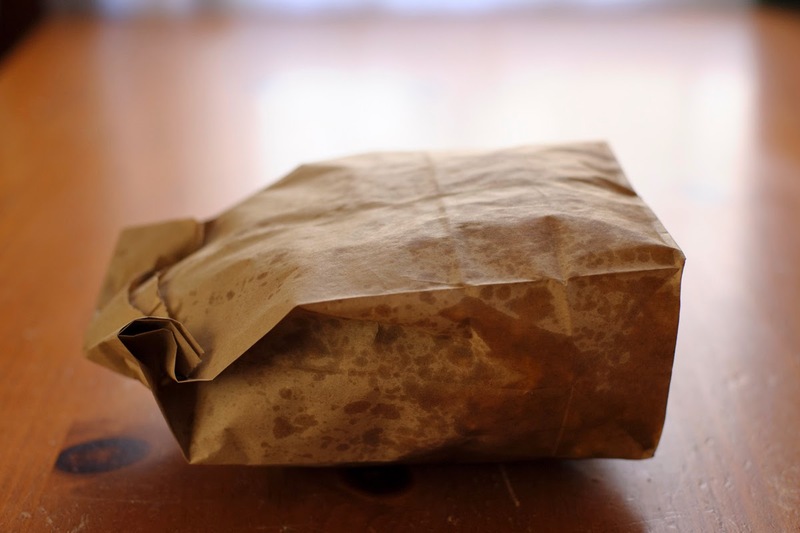 Place in a brown paper bag, then fold over well enough so it doesn’t open in the microwave. Place in microwave on high for 2 minutes, or until there are two seconds between pops. I folded the bag like this, and it stayed very sealed in the microwave. 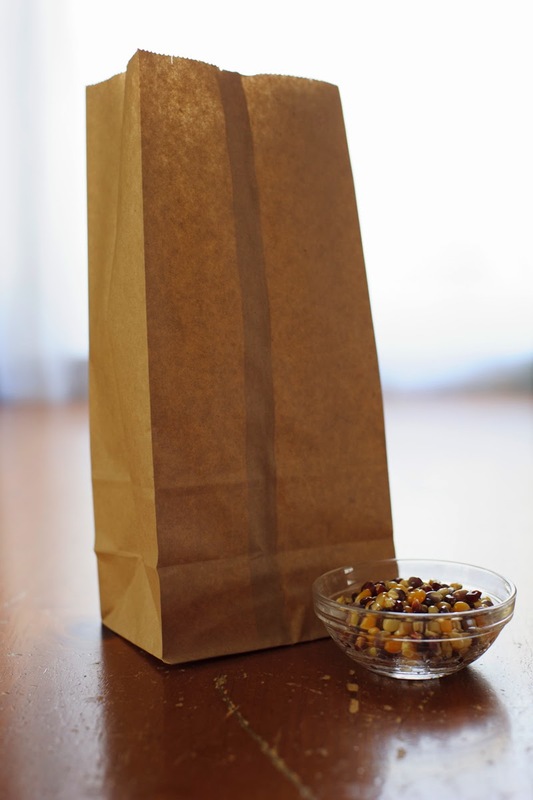 Now you’ve got your popcorn in a bag. Hopefully the bottom didn’t burn like mine did. You can probably practice this method until you’ve got it down to no burning and minimal unpopped kernels, but there’s also another way, which we’ll get to. 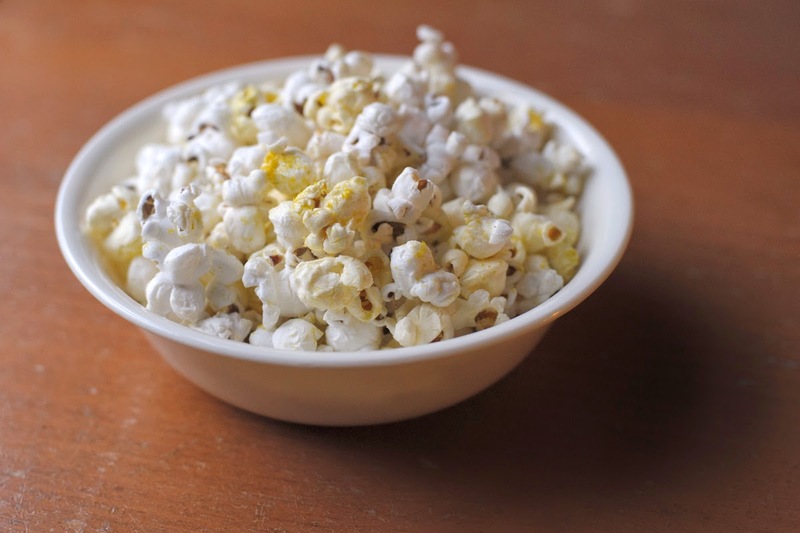 What is nutritional yeast, and why should I put it on my popcorn? Short answer: A cheesy topping to liven up the party. Long answer: Technically, yes, nutritional yeast is a yeast of sorts, except it won’t make your bread rise. It’s full of amino acids and potassium, and has something of a cheesy taste to it. My friends introduced this combination to me, and a lot of people do it, but it’s a taste I’m still acquiring. Try it as a cheese substitute and see what you think. I’m pretty sure you can find it by the spices in your grocery store. Can I make dessert popcorn myself, too? Short answer: Yes, and it tastes darn good. Long answer: Just microwave some dark chocolate, throw in a touch of butter if you want, drizzle it over your bowl of popcorn, toss that bowl of popcorn, lay the popcorn out flat onto parchment paper, and throw in the fridge for a bit so the chocolate can harden up. If you want, you can wait for it to get to room temperature when you take it out, or you can eat up! Try drizzling some peanut butter in there if you want. Dessert-y, but not overwhelmingly sweet or messy! Still airy and awesome. 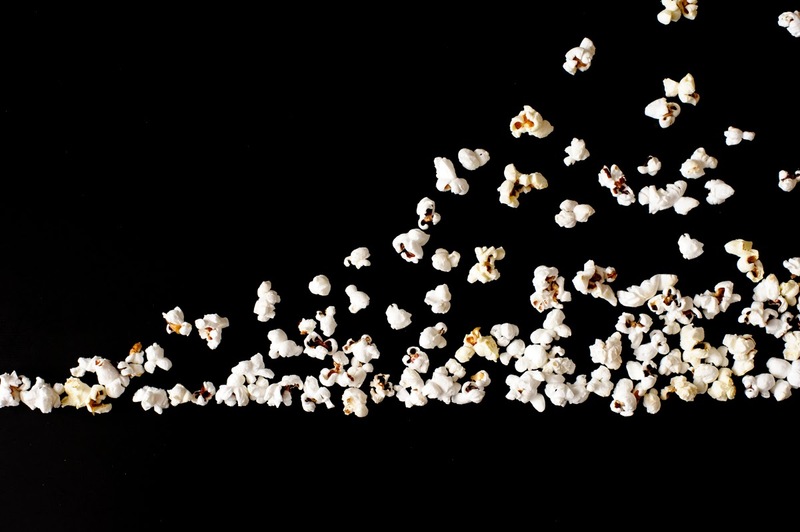 What’s the best way to make popcorn? Short answer: Over the stove. Long answer: Grab a pot, cover the bottom with oil (vegetable oil, olive oil, even coconut oil). Let that heat up a bit. 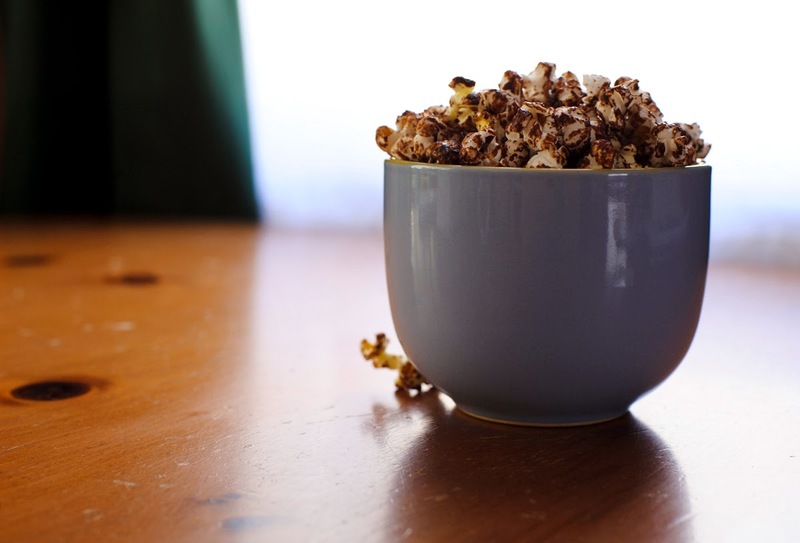 Add some salt – and some sugar if you want to go the kettle route – and the popcorn kernels; just enough to cover the bottom of the pot, or less (or more if you trust your popcorning instincts). Set the heat to high, and wait for the kernels to pop, constantly moving the pot over the heat to avoid burning, and allow the unpopped kernels to fall to the bottom. Remove from heat when two seconds separate the popping. There will probably be some stray pops anyway. Once you’ve transferred the popcorn to a bowl, you can add more salt, sugar, butter, or any other seasoning you want. Get creative! If you want to add butter, just melt some in the pot you just finished using. This method yields as much as you want, and has a great crisp texture/fresh taste. In my opinion, better than the microwave method. Making your own popcorn is really not as scary as it might seem. And if that’s not reason enough, buying popcorn kernels instead of the microwaveable stuff is WAY cheaper. Impress your friends at your next party with your own snack creation. They will probably be inspired to make their own. What do I do with leftover popcorn? Answer: Fold them into your cookies!